File upload is a very common type of operation we perform on the web these days. Automating it will prompt you with a dialog box that is just out of reach for Selenium. To handle such file dialogs testers often opt for a third-party tool, like AutoIT. While meeting your short-term needs, it surely sets you up for failure later by tying you to a specific platform (e.g., AutoIT only works on Windows), limiting your ability to test this functionality on different browsers & operating systems. To avoid such outcomes, you can now resort to these test automation techniques that can handle file upload workflows in Selenium web driver, successfully. Let’s understand these four efficient techniques which testers can utilize to handle multiple file uploads. Note: Make sure, you are not clicking on the browse button as it will open windows dialogue box where Selenium web driver would not work. We have shared the file path using the code shown above. Submit the form & check if the files are uploaded successfully. Note: With the help of ROBOT class, we can easily upload/download files. But in the case of bulk upload, we need to recurrently perform ‘KeyPress’ or ‘Key Release’ methods, which is a limitation of this approach. Step 1: Download and install AutoIt: https://www.autoitscript.com/site/autoit/downloads/ and once the installation is complete Run .exe file followed by simple next. Step 2: Go to your local machine path: C:\Program Files (x86)\AutoIt3 to open AutoIT SciTE Editor and Windows handling objects spy. a) Au3Info_x64 – Click on the application. It opens a small window, like the image shown below. b) Open editor to write code: path: C:\Program Files (x86)\AutoIt3\SciTE\SciTE.exe : click on SciTE editor Once everything is ready, open the application and find the elements to upload the file. Step 2: Now open recently created file in Firefox or chrome browser. You will see sample file uploads application. Example: Step 3: Click on ‘Browse’, it will open the File Upload window. Step 4: Open AutoIT script editor & Finder tool is used to inspect the elements and write the necessary script. Additionally, you’d need to: a) Identify the Window Name b) Identify the File Name input box & enter the file path which is to be uploaded c) Click on ‘open’ Find below a sample code to upload the file. Step 5: In the above three methods, the text parameter is optional, and we can leave it blank. But other parameters are imperative to be provided. Open every window, hold and drag the finder tool icon over the element to inspect/identify. Refer to the sample screenshot shared below for the same. Drag the finder tool to find properties of the element. Refer to the sample screenshot shared below. Step 6: Open AutoIT Editor & start preparing a script like shown below. Here’s a brief explanation: Note: A user can add ‘files path’ recurrently in the editor. Step 7: Save the script to a specific location with a unique name. Sikuli is an open source Graphical User Interface automation tool. Sikuli will be used to automate anything that you can view on the screen. It uses image recognition to speak with the GUI elements. When there is no easy access to a GUI’s source code this is one of the best ways to get the appropriate response. Note: If you add repository for SNAPSHOT in pom .xml file, you will not get ‘mismatching versions’ or ‘missing artifacts’ error. Create a java class file->Right click on src/test/java ->new->Class Use below code and change images or file locations based on your requirement. Step 1: Set the chrome driver .exe file in system. setproperty. Step 2: Using snipping tool (to locate it in your machine, please type snipping tool in the Windows) Capture screenshot of ‘File textbox’ location and ‘open’ button and save it in machine. Note: Sikuli uses the technique of Image Recognition to recognize elements on the screen. It finds elements on screen solely based on their images. Step 3: Sikuli uses Screen & Pattern class method. Create object for Screen and Pattern and place the captured screenshot location in pattern object. Step 4: Open any browser chrome of Firefox and hit your application url. Step 6: Wait for the windows icon to popup. Step 8: Wait for the specified time and close the browser. Sikuli is used to identify the ‘file input text’ box and ‘open’ button on popup using the stored images. If in case the screen resolution changes, the behavior of Sikuli would differ. So, it is advisable to run the scripts on the same resolution of the images captured. In case, a pixel size of an image changes, it throws FindFailed exception. These distinct file upload methods are tried & tested by us. They have the potential to be integrated easily with your code. Here, we have supported content with relevant images and coding to help you get a different perspective at uploading files in your Selenium projects efficiently. Our software testing services enable firms to optimize their software application quality and performance. We also provide quality assurance services that are built to ensure a seamless end-user experience with a greater focus on software performance, automation, and security. The mature software testing frameworks and processes coupled with smart testing methodologies, provided by Evoke are designed to help firms to improve their software applications and delight end-users. To know more about our world-class software testing services, contact us via our website or call us at +1 (937) 660-4923. 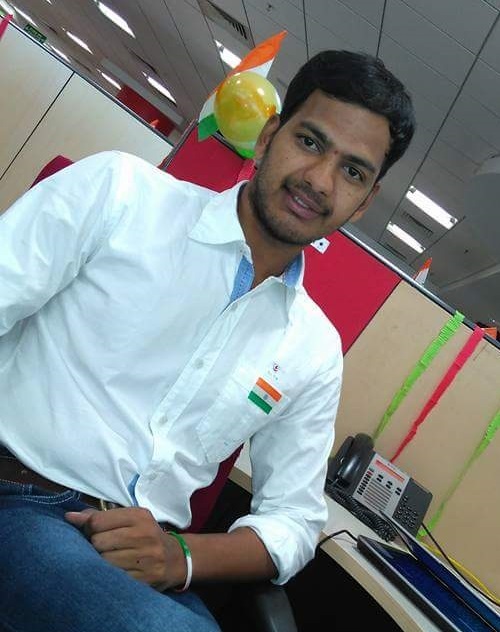 Ravikiran Kandula is a Software test engineer at Evoke. He had 5+ years of experience on Manual, Mobile & Automation testing tools like selenium and Appium. He believes in exploring things at the microscopic level to achieve the desired result. Apart from work, he loves blogging, content writing and playing games.